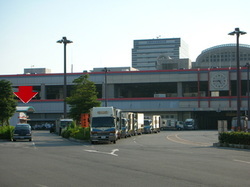 After entering the area of Osaka Central Fish Market, please go towards the left side of the building where you see the red arrow. That is where we are located. When entering Keihan Mall, a shopping mall directly connected to Kyobashi Station, please go up to 5th floor. We accpect credit card (Visa / MasterCard / JCB / American Express / Diners). 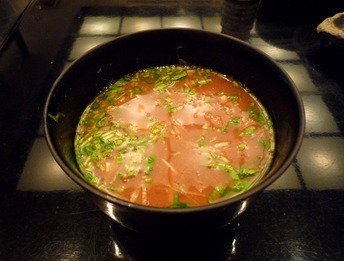 Thank you very much for visiting to the website of Endo Sushi. 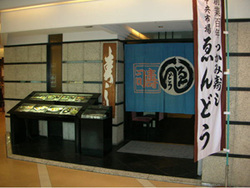 Thanks to many peoples' support, we have run the sushi bar for more than a century. 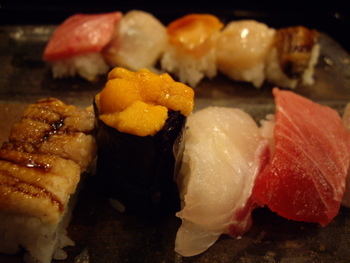 At Endo Sushi, most people order "Maze" which consists of 5 different pieces of seasonal sushi items. Please kindly let us know your dislikes prior to the order so that we can arrange the items. 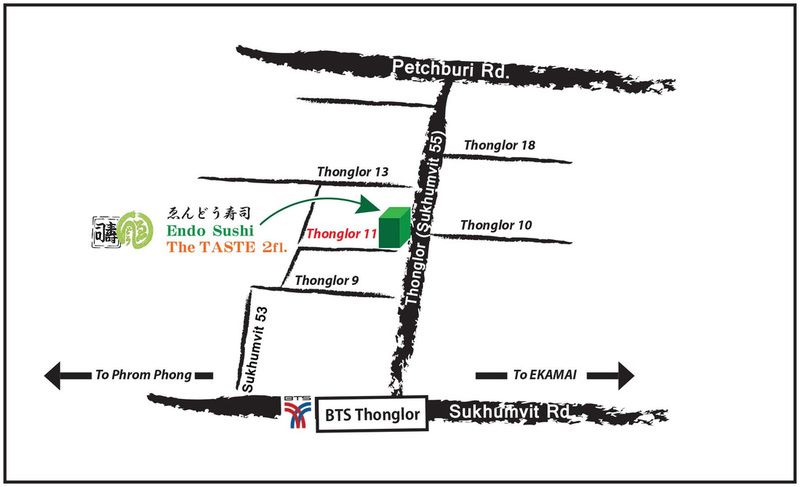 We have English menu so please feel free to stop by. Looking forward to seeing you. Copyright (C) 2016- by えんどう寿司. All Rights Reserved.